Was it an old rose which offended too many colleagues, could it be the dark side of Moonves, or a 60-minute moment when uncontrollable males can’t help themselves? The bad old days of the casting couch are hopefully behind us. CBS has been called the Eye Network, because of an iconic logo, in use since 1951. It's also been called the Tiffany Network after high-quality programming during the tenure of William S. Paley. 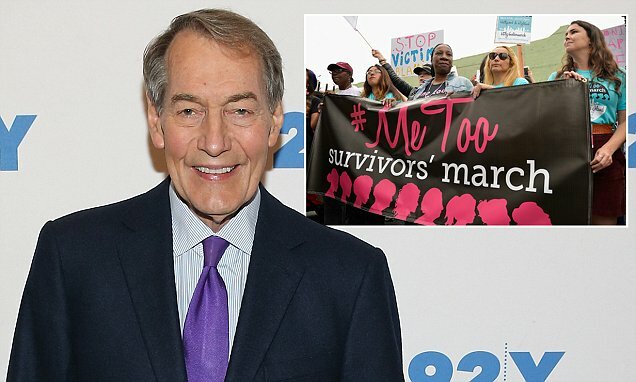 Anchorman Charlie Rose, then CEO Les Moonves and most recently Jeff Fager, executive producer of 60 Minutes have all left the building following allegations, investigations and determinations of wrongdoing. A #MeToo movement has besieged a network in the eye of the storm. The network head has been one of the most powerful men in media. Jeff Fager, who is resigning as `60 Minutes` boss amid investigations into the company, had been at CBS News for 36 years and has been a leading figure at the news division for decades. The disgraced former CBS This Morning anchor was sued in May by three ex employees, Katherine Brooks Harris, Sydney McNeal and Yuqing Wei, who accused him of `predatory behavior`. LOS ANGELES (AP) — Julie Chen returned to television with an unusual sign-off days after her husband, Les Moonves, resigned as the CEO of CBS after sexual misconduct allegations.